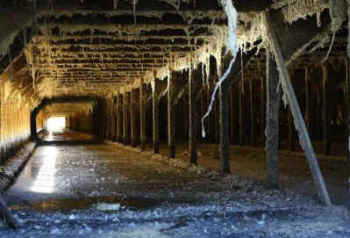 In February 2012, a company called A&L Poultry near Turlock, CA abandoned 50,000 battery-caged hens to starve to death. Most of the birds died in their cages or were “euthanized” – “killed by state authorities using carbon dioxide gas chambers.” [Claims that carbon dioxide gassing produces a humane death conflict with evidence showing that CO2 induces severe breathing distress in birds and mammals along with panic and pain. Animal Place Sanctuary in Grass Valley did a huge rescue. They saved 4,100 hens from starvation. They found good homes for most of the hens and kept those who could not be adopted in their Vacaville sanctuary. That chicken farmers in an agricultural region like Central California, where Turlock is located, would be charged with felony cruelty to chickens is amazing, unheard of! Prosecutors saw that people cared deeply about these birds and wanted their owners to be held accountable! Animal Place is making a documentary film about their excruciating rescue and rehabilitation of the Turlock hens. Last February, UPC posted an alert about Animal Place’s emergency response as their rescuers struggled to hurriedly pull thousands of starving, terrified hens out of the filthy cages, truck them to Vacaville, and provide them with the immediate food, water, straw, medicine, and compassionate care the hens desperately needed. Kim Sturla is a speaker and Animal Place (www.animalplace.org) is a cosponsor of our Conscious Eating Conference in Berkeley, CA on Saturday, April 6. We hope you will be there to meet Kim and hear her deeply moving story about saving the Turlock hens and what sanctuaries are learning and teaching people about the emotional world of chickens and other farmed animals. Please watch 2013 Conscious Eating Conference Videos.